I teach in a Master of Arts in Teaching program, using an online platform (a Moodle-based LMS developed for us by the fabulous 2U, and Adobe Connect). In this program, many of my students are also parents. Since they’re also attending live classes over a webcam from home, this means that often their children are in the house with them. Many professors in this setting take the approach of banning children, or in fact any potential distractions at all, from the classroom. My approach is a bit different. See, I’m a parent myself, and I believe that one of the big problems in our society is the disconnect between work life and family life; the idea that once you get to work you’re supposed to stop being a parent, but when you’re home with your family you should still be answering work email. I think this is a damaging and stressful thing for parents, whether they’re at work or in an academic program, or as often happens, both. So, instead, I choose to support my student parents in ways that not only improve their educational experience, but improve learning for other students and improve my experience as the instructor. It’s my small act of rebellion against the societal encroachment of work and academia on family life. First, I begin the term by encouraging new moms to feel free to breastfeed their children while in class. Breastfeeding is normal and natural, and shouldn’t be treated any differently than bottle feeding a child. Additionally, most states protect breastfeeding moms’ right to nurse in public or private places. Now, my virtual classroom is neither a public nor a private space, but I’m choosing, as benevolent dictator of my virtual classroom, to make nursing accepted. It is basically not noticeable on camera anyway (we generally only see from the shoulders up), and it can make the new mom more relaxed and able to focus on the content. Plus, we get to see those gorgeous squishy babies, and it builds our bond as a class. Second, I tell parents that their children are welcome to join us in the class session. They can sit in laps and observe, they can ask questions, and they can talk to us. The vast majority of the time, this stops them from banging on the door and distracting their parent, and then the child either sits quietly and watches, gets bored and leaves, or engages in conversation with us. Being an education program, this gives my other students a chance to talk to a young person about these ideas we’re learning about in class. It enhances the conversation and does not distract from our learning. Third, I allow people’s children to come first. There is no situation when a class session should come before taking a child to the doctor, and yet I’ve had many students arrive in class and apologize because they might have to step away and clean up their vomiting child. My response is always the same. “Go take care of your child. They need you, and the content will still be here later.” All of our class sessions are recorded, so the parent/student can watch the class session later, and then meet with me during office hours to make sure they are confident in their mastery of the content of the missed session. Yes, they miss a class session, but if I made them stay, they’d be behaviorally engaged at best. Most likely, they’d be looking at the camera, but thinking about their child and listening and watching intently for the signs of worsening illness. The student will get more from the class session if they can watch the recording and meet with me one on one later, than trying to struggle through the live session with a sick child. 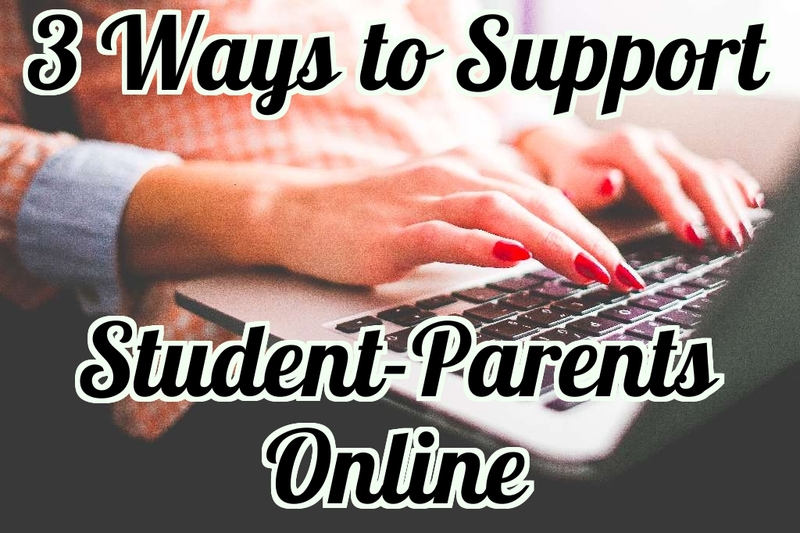 I’ve found that each of these not only allows for a better educational experience for my student-parents, but it makes the teaching experience better for me. Our online classes develop a stronger bond when we meet each other’s children and share these parts of our lives. My students are more engaged when I let them deal with the issues that inevitably arise for parents, and work with their role as a parent instead of against it. Next Post Yes, actually. I AM a teacher.